The versatile EZOPower desktop space-saving charging station is the perfect solution for charging 6 devices simultaneously via 2 AC sockets and 4 USB ports. 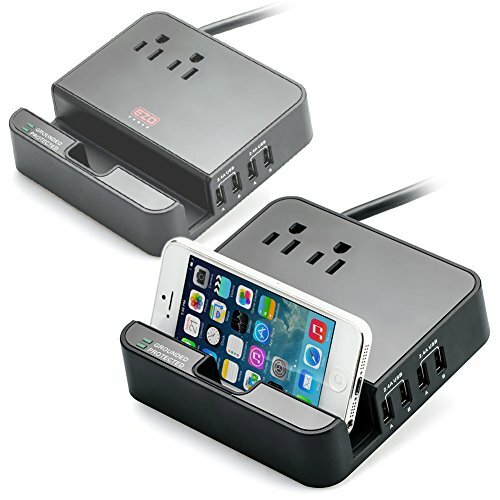 Unique design allows charging multiple devices at a single location to avoid clutter. Slot holder designed for hands-free viewing while charging. LED indicators ensure that your devices are grounded and protected while charging. This charging station is ideal for home, office or a professional workstation, you now have additional power with added security of surge protection.